This is a new twist on an old recipe that I posted on here long ago: Cranberry Jello Salad. 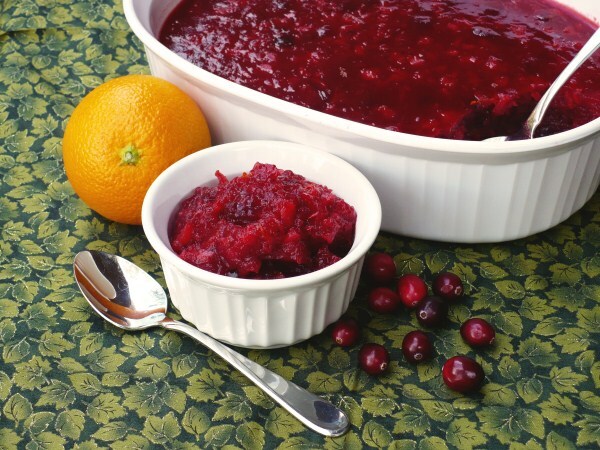 The recipe is from my mother-in-law and it's my favorite gelatin salad to make for Thanksgiving and Christmas. This year I wanted to change it up a little and decided to try it with some orange juice and a bit of orange zest. I wish I had added a can of mandarin oranges instead of the zest because that would have added more color and better "orange" flavor. The zest pretty much got lost in the cranberry sauce. Next time I am definitely adding the oranges. But even without them, I now like this salad better with the orange juice. In a large bowl, dissolve Jello in boiling water. Add cranberry sauce and stir until well mixed and no lumps (other than cranberries) remain. Add pineapple, oranges, and orange juice and stir until combined. Pour into 2 qt. serving dish and refrigerate at least 4 hours or until set. This is the other pie I made for Thanksgiving. My daughter is in love with it and ate two pieces of it on Monday. I love that it combines two of my favorite desserts: cheesecake and pumpkin pie. Mine didn't turn out as pretty as the one on the King Arthur Flour website, but it still looks good enough to eat. The recipe makes more pumpkin filling than will fit in the pie, so I just put the rest of it in a ramekin and baked it alongside the pie until it was done. Who doesn't love a recipe that results in a bonus dessert? In a medium bowl, beat together cream cheese and sugar until smooth. Beat in egg and vanilla until incorporated and pour mixture into the pie crust. Refrigerate while making the pumpkin filling. Preheat oven to 425 degrees. In a large bowl, mix together the sugar, salt, and spices. Add pumpkin, evaporated milk, and eggs and whisk gently until smooth. Slowly and carefully spoon pumpkin mixture over the cheesecake filling (you may have some leftover - see note above). Bake for 15 minutes at 425 degrees then reduce heat to 350 degrees and bake for 40-45 minutes. Pie is done when it looks set, but center is still a bit wobbly. Cool to room temperature and then refrigerate until serving. Note: I like to wrap strips of aluminum foil around the edge of the pie crust before filling, then remove the foil about 20 minutes before pie is done baking. This keeps the crust from getting too brown. We had our Thanksgiving with extended family this year and their tradition is for everyone to bring a different pie (or two). I was excited for the opportunity to try out a new recipe that I'd been thinking about for a while. I found a recipe for Pear Crumble Pie on Food.com and thought it sounded different and yummy. 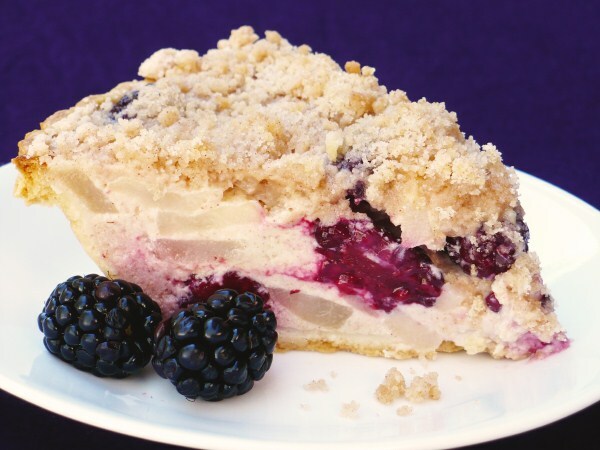 It has a custardy fruit filling and a crisp crumble topping - what's not to love? But, as usual, I wanted to mix it up and decided to add some blackberries with the pears. I may be wrong, but it seems that the combination of blackberries and pears is a British thing. Almost every "blackberry pear" recipe I found on Google was from a British website and all measurements were in metric. What gives? Are we Americans just not hip to this fruit combination? Anyway, my husband and mother-in-law liked this pie and I think it's darn yummy, myself. If you are looking to make something different for a potluck or family party this year, here's your pie! While the pie is baking, make the crumble: in a medium bowl, mix together flour, sugar, and cinnamon. Cut in the butter with a pastry blender or fork until crumbly. After the pie has baked 40 minutes, sprinkle the crumble topping on. Return to oven for 20 minutes longer. Let cool before serving. Refrigerate leftovers. * To keep the crust edge from over-browning, I like to wrap the edge in aluminum foil before filling. Then remove foil when adding the crumble topping. Here's a great way to use up that little bit of leftover pumpkin! 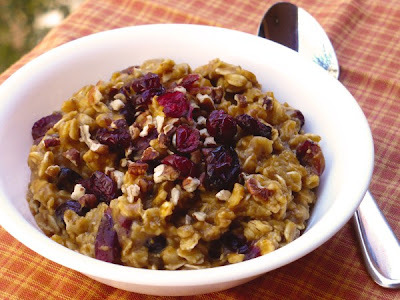 I discovered this little gem of a recipe last year and made this oatmeal quite often (for myself...). The recipe is for an individual serving, but you could easily bump it up to make more. Although, I would recommend cooking it on the stove top if you're making it for more than 2 people - I think you'd get a better result. Just for reference: 4 Tbsp = 1/4 cup. Stir together pumpkin, brown sugar, water, milk, vanilla, salt, and spices in a microwave-safe bowl. Stir in oats and cranberries and/or pecans, if using, until well mixed. Microwave on HIGH for 1-2 minutes, or until desired consistency. Top with more pecans and cranberries, if desired. Serve immediately. * You could also just use a few dashes of pumpkin pie spice. I saw these cookies on Pinterest and thought they looked really yummy. Then I followed the pin to a food blog from Singapore and the entire recipe was in metric and I did not feel like converting it. Lucky for me (and for you) I found a similar recipe from Southern Living (which pretty much ensured they'd be good). Oh my, I love these little cookies! Even my husband loves them, which is AMAZING because he is not a fan of Craisins (he even goes to the trouble of picking them out of my homemade granola bars). The dough requires at least 4 hours to chill, which could be a hassle, but it's totally worth it because all that time in the fridge lets the flavor of the orange zest diffuse throughout the dough. I just made my dough the night before and baked it the next day. I made these without the almond extract because I was out (whoops) and they still turned out yummy. So if you don't have almond extract either, no worries. Cute for gift giving, eh? If you don't eat them all first, that is. Beat butter at medium speed with an electric mixer until creamy. Add powdered sugar, beating until smooth. Stir in chopped cranberries, orange zest, vanilla, and almond extract until well blended. In a bowl, stir together flour, baking powder, and salt. Gradually add flour mixture to the butter mixture, beating at low speed until blended. 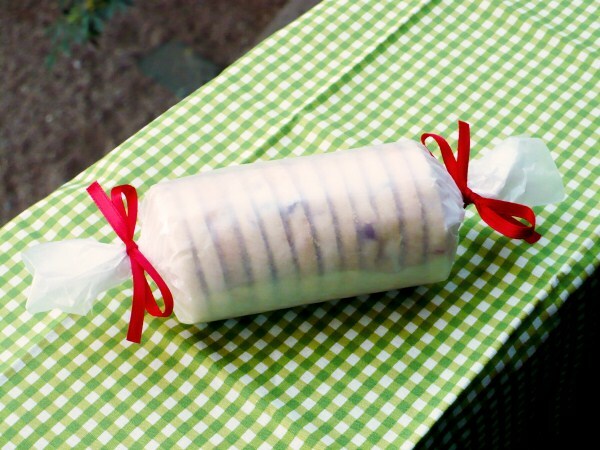 Shape dough into 2 (7-inch) logs and wrap each in wax paper. Chill dough for at least 4 hours or freeze logs in a Ziploc bag for up to one month. Preheat oven to 350 degrees. If frozen, let logs stand at room temperature for 10 minutes. Slice each log into 24 pieces (about 1/4-inch thick slices). Place slices about 1 inch apart on lightly greased or parchment lined cookie sheets. Bake for 10-12 minutes or until edges of slices are golden. Remove cookies to wire racks and cool completely. Store in an airtight container. Makes about 4 dozen. We've had this recipe in my family for years. My mother got it from my aunt Renee, who was a wealth of yummy recipes. This salad is always popular and can serve as a light main course or tasty side. Traditionally, we've made this with iceberg lettuce, though romaine works as well. I had to use greenleaf lettuce this time around because neither the iceberg nor romaine looked any good at the store recently. I don't recommend it. Greenleaf is way too flimsy to hold up to dressing for more than 10 minutes. Wilty lettuce is very disappointing. 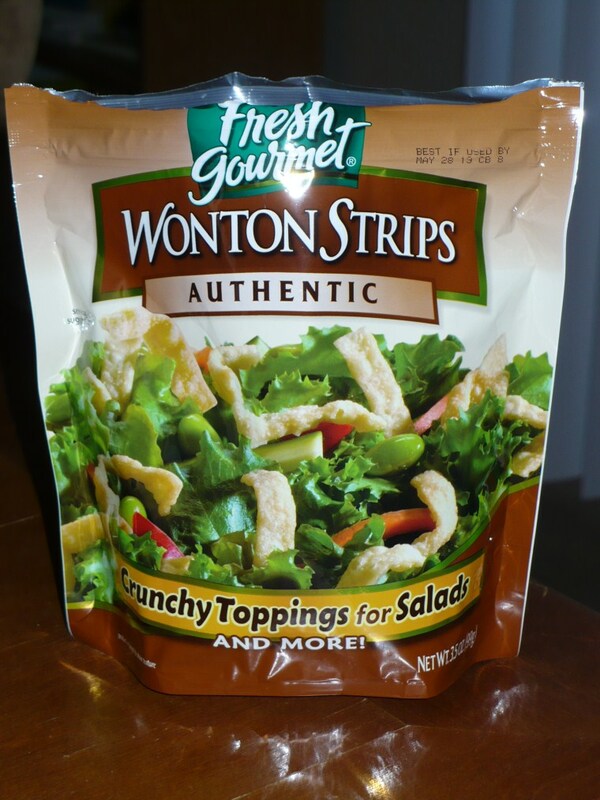 Pre-made crunchy won ton strips! How cool is that? Now I don't have to listen to my smoke detector go off while I fry won tons. I found them in the produce section of my local Fry's (that's the same as Kroger or Smith's). However, it was a miracle that I saw them because they were hanging up high, over the refrigerated salad dressing. I mean, how often do you look up in the produce section? There were even a couple of flavored varieties. I thought the Ginger and Garlic sounded yummy. If you can't find them, don't despair. Here is a video that shows you how easy it is to make your own fried won tons (though I recommend using a pair of tongs instead). In a medium bowl, mix together the soy sauce and 1 Tbsp. sugar for marinade. Add the chicken and toss to coat. Cover with plastic wrap and refrigerate for at least one hour to soak up flavor. Combine dressing ingredients in a jar or plastic container with a tight-fitting lid. Shake until well mixed. 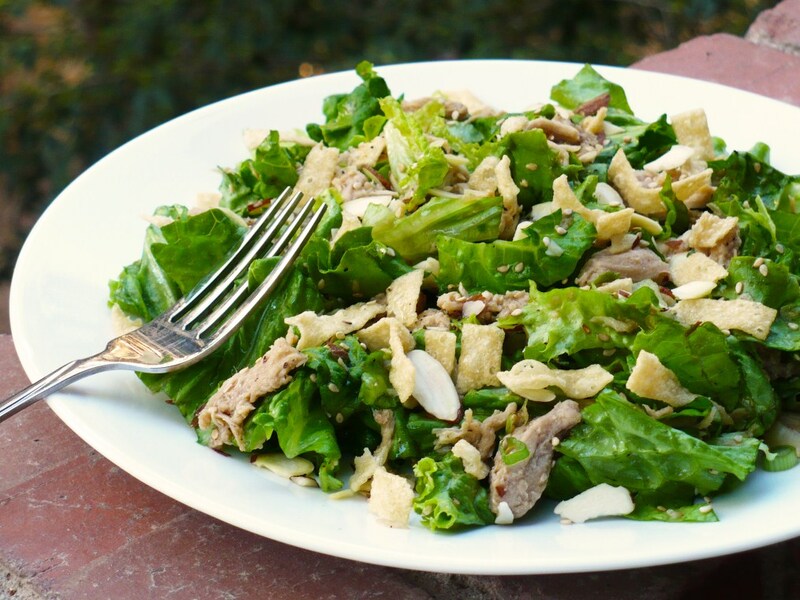 In a large bowl, combine chopped lettuce, chicken, green onions, almonds, and sesame seeds. Pour on the dressing, a little at a time (you probably won't need all of it), tossing the salad to coat. Mix in won tons just before serving. This recipe comes from Southern Living magazine and calls for peppermint extract in the white chocolate. Personally, I have a hard time imagining these cookies tasting good with peppermint, but I may be wrong. I do like them without it, and I also like them chewier than the original recipe's baking time permits. I think the cornflakes add a nice crispy texture that fulfills the crunch factor for me. But if you want a truly crunchy cookie, follow the original bake time. If you are not a fan of vanilla almond bark, these cookies probably aren't for you since that ingredient is what really makes these cookies stand out. In a medium bowl, combine flour, baking soda, baking powder, and salt until well blended. In a large mixing bowl, beat shortening with sugars; add eggs and vanilla. Add flour mixture and beat just until combined. Mix in oats and cornflakes. Drop dough by heaping tablespoonfuls (or use a medium-sized cookie scoop), 2" apart, onto lightly greased or parchment-lined baking sheets; flatten slightly. For chewy cookies, bake for 8-10 minutes or until a light golden brown. Let cool for 3-4 minutes on the cookie sheet before removing to a wire rack to cool completely. For crunchy cookies, bake for 12-14 minutes or until an even golden brown. Cool slightly on cookie sheet before removing to a wire rack to cool completely. In a medium-sized, microwave-safe bowl, heat almond bark and 2 Tbsp. shortening on HIGH for one minute. Stir until smooth. Add extract if using. Dip the bottom of each cookie in the melted bark, letting excess drip back into the bowl. Place cookies dipped side up on wax paper and let stand for 1 hour or until bark is set. You can speed this along by putting the cookies in the fridge or freezer. I saw this recipe on Pinterest; the pin was from the blog Plain Chicken, who got the recipe from Food.com, where the recipe is touted as a copycat for an entree at Cheddar's restaurants. Got that? Lol. Anyway, I really like this recipe because it's like a lazy man's lasagna: all the lasagna taste without all the work. Easy and yummy? Sold. That said, I've tweaked the recipe because the original was a little excessive on the amounts of ingredients. And even with my changes this still fills up a 9x13 and should be enough to feed a family of 6 or more. Preheat oven to 350 degrees. Spray a 9x13 baking dish with cooking spray and set aside. In a large bowl, stir together sour cream, ricotta, half-and-half or milk, mozzarella, oregano, basil, pepper, garlic, salt, and half the Parmesan cheese. Add spaghetti and toss until well coated. Pour mixture into prepared pan and press even. Sprinkle with remaining 1/4 cup Parmesan cheese. Cover dish with foil and bake for 40 minutes. While pasta is baking, prepare meat sauce: brown sausage or ground beef in skillet; drain. Add spaghetti sauce and simmer. Remove pasta from oven; let stand about 10 minutes. 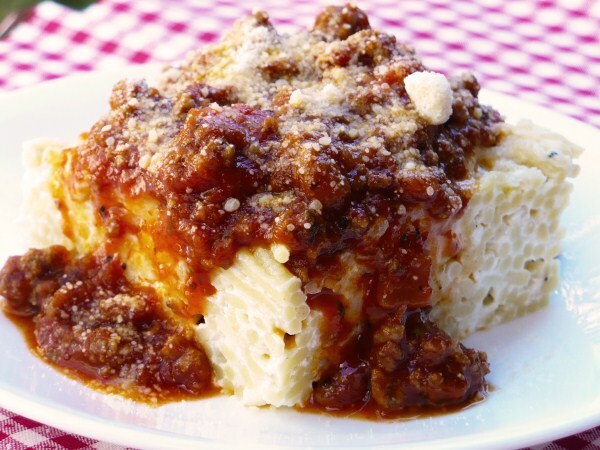 Cut pasta into squares and top with meat sauce. Sprinkle more Parmesan for garnish, if desired. *My favorite jarred spaghetti sauce is Prego's Italian Sausage and Garlic, but it only comes in a 23.5 oz jar, so I used that and added a 14.5 oz can of petite diced tomatoes. Turned out good! My husband thinks I'm on a granola kick. Maybe I am. I have made a lot of granola bars lately.... But this is my first time making good, ol' fashioned granola. 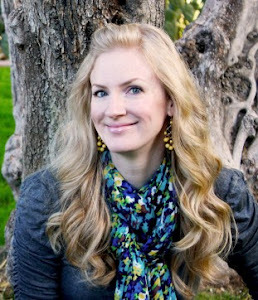 I saw a recipe for Pumpkin Spice Granola last year on The Baker Chick. I thought it sounded good but in all the hubbub that is the holidays, I never got around to making it. This year I'm starting the pumpkin goodness early, partly to give my readers time to try it themselves and partly because I love pumpkin and usually don't get enough of it before the holidays are over. As usual, I wasn't content with the recipe as-is and decided to tweak it a bit. I wanted some Rice Krispies and sliced almonds mixed in for variety. I've also changed the cooking directions a bit, more closely following this similar recipe. And if you want to "walk on the wild side" and try cooking your granola in a slow cooker (yes, it can be done! ), try following these directions. Preheat oven to 325 degrees. Line a large, rimmed baking sheet with parchment paper. In a large bowl, combine oats and rice cereal. 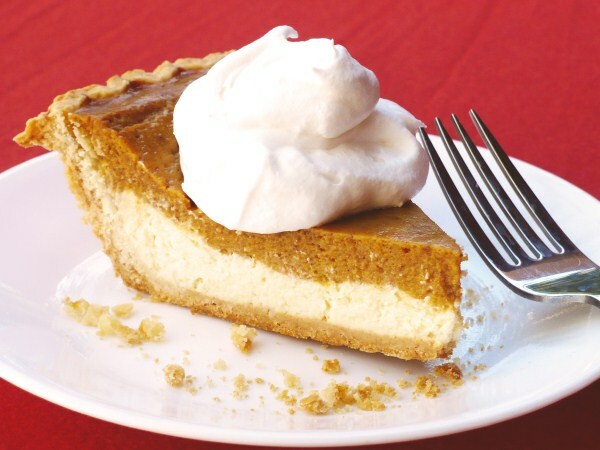 In a medium bowl, whisk together pumpkin pie spice, salt, brown sugar, pumpkin, applesauce, maple syrup, and vanilla. Pour wet ingredients into the oat mixture and stir until evenly coated. Evenly spread the mixture onto the prepared baking sheet. Bake for 30 minutes. Remove pan from oven and stir the granola. Sprinkle with almonds and pepitas, if using. Bake for 10 minutes more or until granola is golden. Depending on the size of your pan and the thickness of your granola layer, the center may not dry as quickly and you may need to remove the outer edges to cool on waxed paper and bake the center another few minutes until it's done. Cool in pan or on waxed paper. 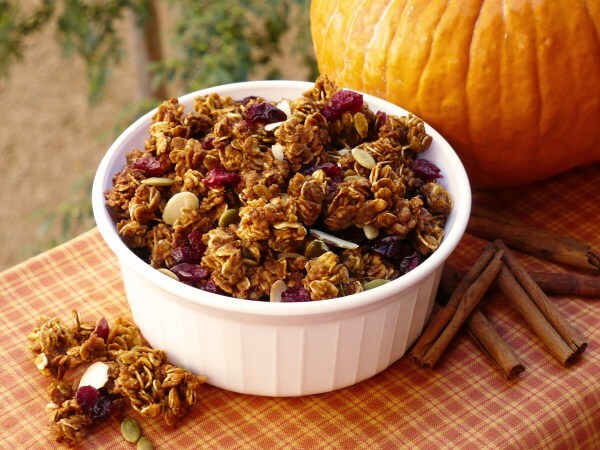 Break up granola as desired and store in an airtight container. 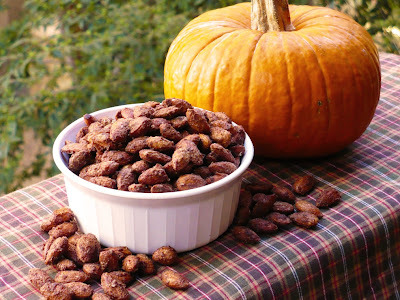 So, I've made homemade Smoked Almonds and Cinnamon Sugar Almonds before for my husband who loves nuts. When I found raw almonds on sale for $2.99 a pound at a local store, I thought I'd make him some more. And then I wondered if they would be good with pumpkin pie spice and ... they are! But I think the vanilla in this recipe is what sends these nuts over the top. Even my daughter can't stop eating them and tells me they taste like pumpkin pie. 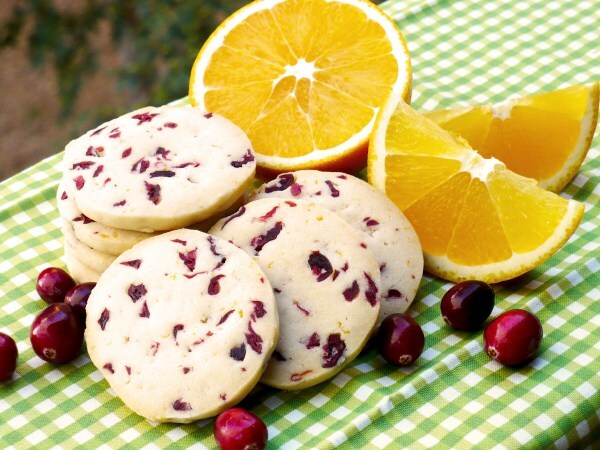 These make a great snack and would be a yummy gift for someone over the holidays. Preheat oven to 300 degrees. Line two rimmed baking sheets with foil and spray with cooking spray. In a large bowl, whisk the egg whites until frothy; whisk in vanilla. Stir in the almonds until evenly coated. In another bowl, mix together sugars, salt, and pumpkin pie spice until thoroughly mixed. Add spice mixture to almonds and toss to coat. Spread almonds in a single layer on each baking sheet. Bake for 15 minutes, then stir. Bake 15 minutes more and then let cool. Store in an airtight container. These cookies are FABULOUS. They are chewy, moist, and spicy - the top three things I love about a cookie. 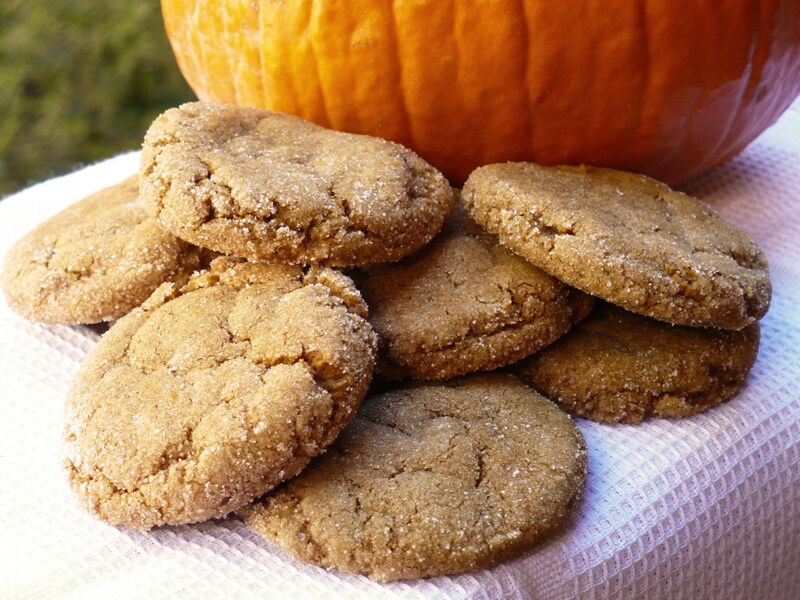 They are essentially a chewy gingersnap with a pumpkin twist. My husband and daughter can't stop eating them and neither can I, frankly. 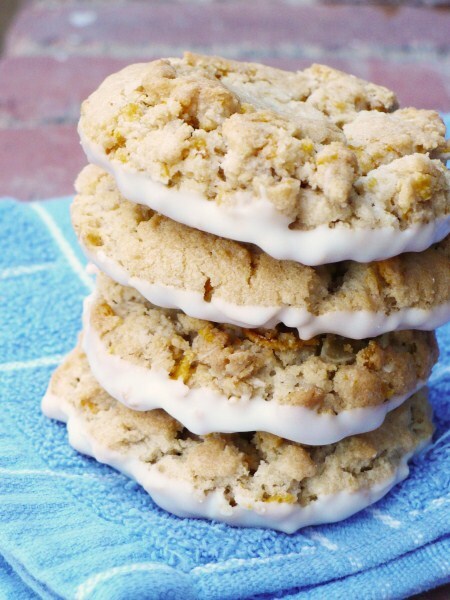 This recipe comes from Two Peas & Their Pod; a blog full of fantastic cookie recipes (you should definitely check it out). Maria calls them Soft Pumpkin Gingersnaps, but I'm a weirdo and have a hard time naming a soft cookie a "snap." 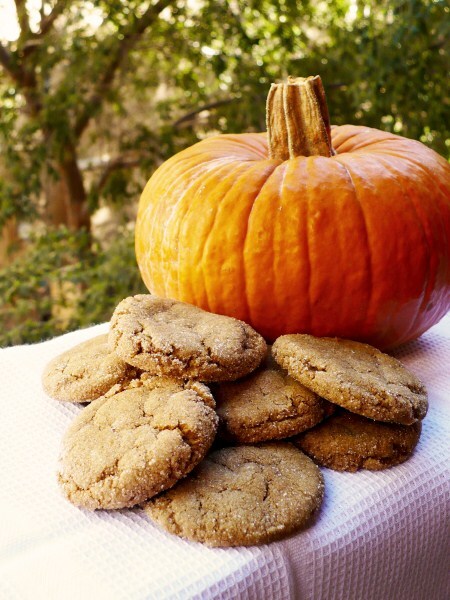 So I'm going with Pumpkin Ginger Cookies. I've only made one alteration and that is to reduce the amount of ground cloves. Cloves are a delicious but strong spice and I felt that a full teaspoon kind of covered up the pumpkin flavor too much, so I've reduced the amount to half a teaspoon. The molasses makes the cookies chewy, the pumpkin makes them soft. And they STAY soft - up to a week (though they usually don't last past the first day or two). In a large bowl, beat butter and sugar until creamy. Add the pumpkin, molasses, egg, and vanilla; mix until well combined. Add remaining dry ingredients and mix until completely combined (dough will be very sticky). Cover bowl with plastic wrap and refrigerate dough at least one hour. When ready to make cookies, preheat oven to 350 degrees. Line a cookie sheet with parchment or Silpat. Add about 1/2 cup of sugar to a small bowl. Roll tablespoon-size balls of dough (I used a medium-sized cookie scoop) in sugar until well coated and place about 2 inches apart on cookie sheet. Bake for 10-12 minutes or until edges are set and cookies look cracked. Let cool for 2-3 minutes on the cookie sheet before transferring to a wire rack. Makes about 3 dozen, depending on size.